A great presentation on the 5 year journey Kaplan took from old school training to an integrated ecosystem. Inspiring story with great lessons to be learned and practical tips as well. 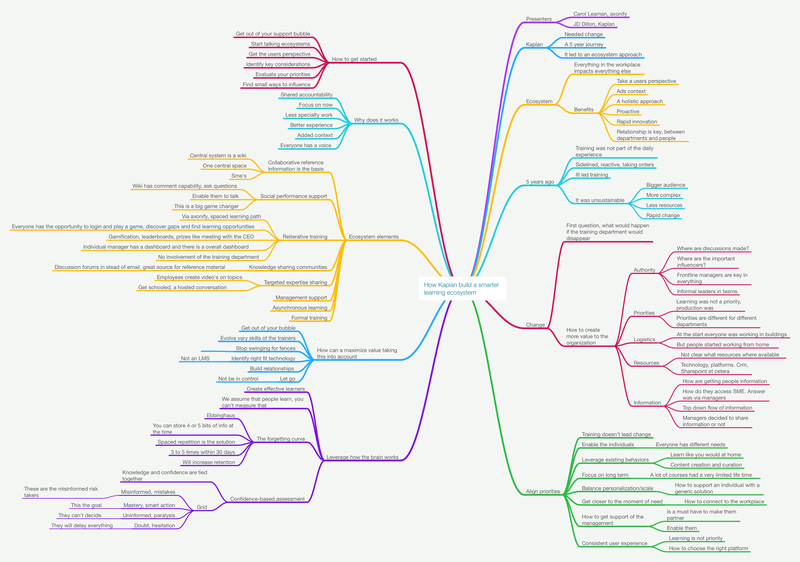 Here is the mind map.